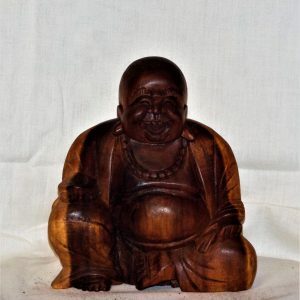 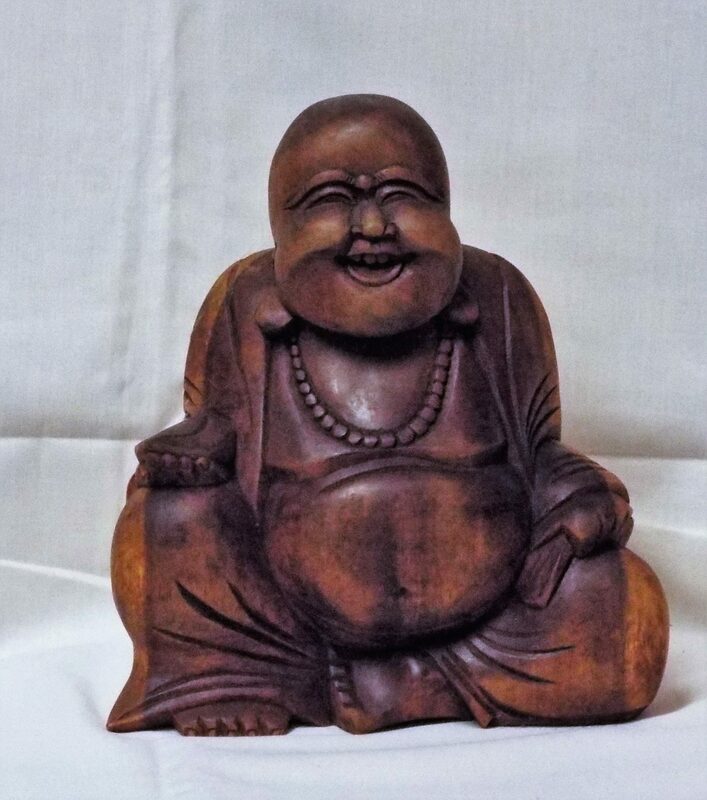 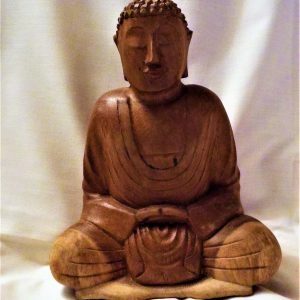 Bring the character and charm of the East into your home with this beautiful seated laughing Buddha. 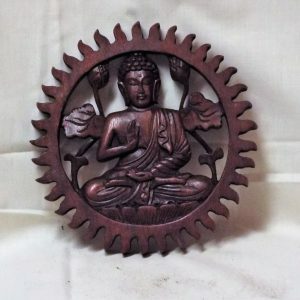 Hand carved from Suar (locally known as the Indian Rain tree wood), a heavy hardwood grown in Government maintained plantations. 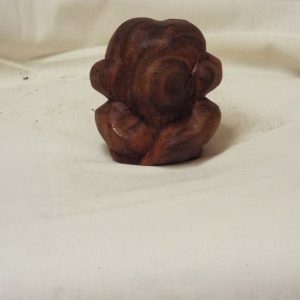 Please note, being individually hand made designs and size may vary slightly making each one a unique purchase.